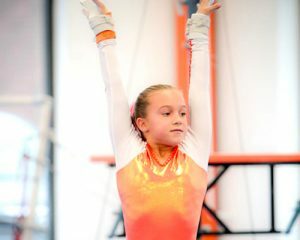 We specialize in Gymnastics here at R-Athletics offering four different programs designed specifically for the age, skill and competitive level of your children. Please browse our programs, and if you still have questions or would like to visit and talk with our staff please Contact Us Here. We encourage you to visit our facility and meet our staff. Your child can try a class for FREE! We have designed classes for little athletes to learn coordination, flexibility, along with basic gymnastics skills. Skills will develop through safe, age appropriate drills that build a foundation for future progression. In addition to gymnastics, they will be exposed to shapes, colors, letters, numbers, healthy living habits and other exciting learning tools. R Athletes will teach basic to high-level gymnastics skills in a safe environment, using drills and lead-ups to every skill. Each skill will be taught according to the child’s physical and mental abilities, with safety as our highest priority. A well-trained, qualified staff will coach them in a state-of-the-art facility. The R-Athletics competitive gymnastics team will travel and compete nationally and internationally. Competitive gymnastics will teach girls the importance of hard work, ethics, perseverance, goal setting, achievements, teamwork, personal fitness, friendships and life skills that they will take with them far beyond their gymnastics years. 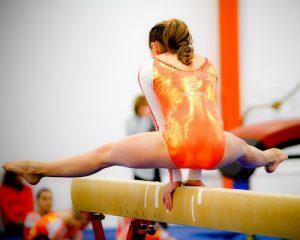 R-Athletics is proud to offer Gymnastics to the Greater Grand Rapids area including; Forest Hills, Cascade, Caledonia, East Grand Rapids, Ada and the rest of West Michigan.